The Vichy Dermablend Corrective Compact Cream Foundation provides high coverage with a radiant, natural-looking finish and SPF 30 protection. Designed for those looking to conceal minor to severe imperfections including redness, dark circles, rosacea, vitiligo and scarring, this daily use skin base delivers high coverage and flawless results. The supple formula is flexible, comfortable and perfectly blendable for truly custom coverage, gliding across the skin with a luxurious air-soft touch. Light diffusing pearls prevent a mask-like effect, ensuring the skin looks bright and even for up to 12 hours, while the waterproof finish ensures that your base stays put, even in summer. 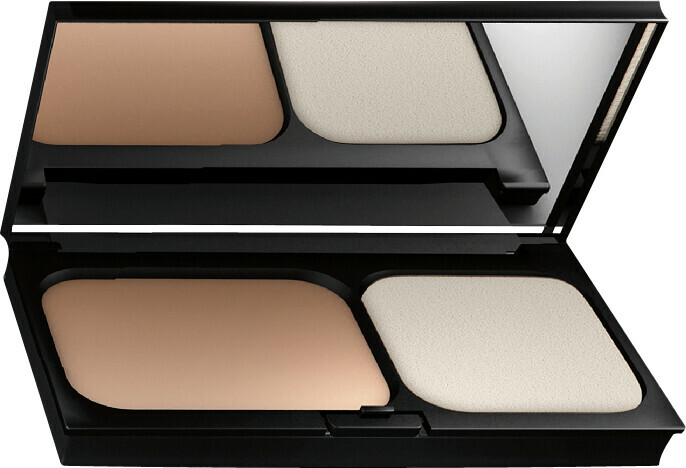 The high tolerance Dermablend Corrective Compact Cream Foundation is suitable for all skin types, even sensitive. It’s hypoallergenic, fragrance-free, non-comedogenic and it’s been tested under dermatological and ophthalmological control. For all-over application, gently dab the foundation onto the skin, and blend from the centre of the face outwards. To conceal flaws, dab and blend in the affected area and repeat until the desired level of coverage is achieved. Vichy Dermablend Corrective Compact Cream Foundation SPF30 is rated 5.0 out of 5 by 1.